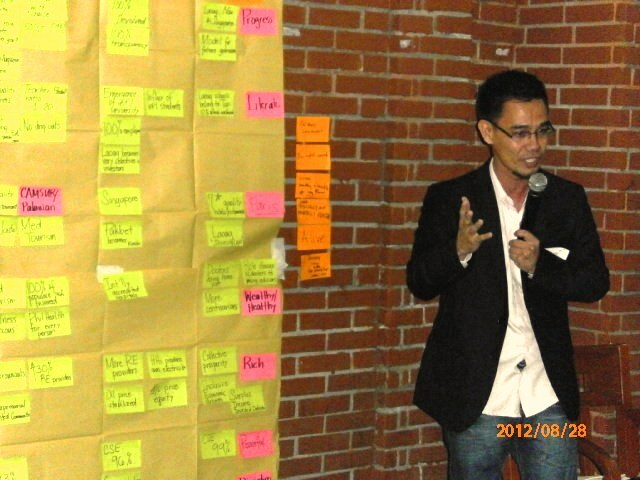 I got an invitation from the Philippine Society for Public Administration (PSPA) last month to share the outputs and insights of the UNESCO Laoag Knowledge Lab forum-workshop. 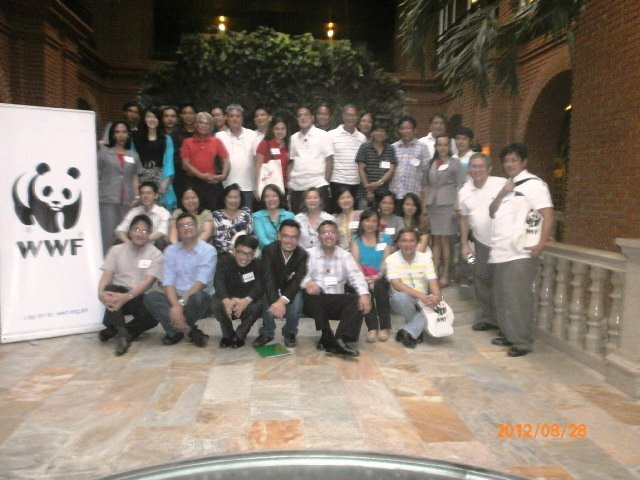 The UNESCO Know Lab event was attended by urban planners, mayors, futurists, disaster risk management and reduction officers, academics, researchers and social activists from different primary and secondary cities and organizations of the country to explore and deliberate alternatives and preferred futures for Philippine cities. It was organized by the UNESCO National Commission of the Philippines, Northwestern University. the City Government of Laoag and the Center for Engaged Foresight in partnership with the Graduate Institute of Futures Studies at Tamkang University (Taiwan), the Hawaii Research Center for Futures Studies, University of Hawaii (United States), the Heal Being Society of South Korea, (Seoul) and SMART Philippines. Organized by the Philippine Society for Public Administration in partnership with the UP National College of Public Administration and Governance (UP NCPAG), Association of Schools of Public Administration in the Philippines (ASPAP), Philippine Councilors League Legislative Academy (PCLLA), Bukidnon State University (BSU), University of Southeastern Philippines (USEP), Center for Leadership, Communication, and Governance Inc. (CLCGI) and the United Nations Development Programme (UNDP) the 2014 International Conference tackled the latest innovations and governance trends in public administration. Plenary and panel sessions discussed, debated and explored emerging issues and memes shaping the future of governance education and praxis in the Philippines. The deepening link between learning (academe) and leading (practice), the future of the Philippine local government code, plausible tensions that could disrupt current national-local governance dynamics, people’s local stories of disaster risk and management, addressing the failures of government and institutions in the area of environment governance, mining laws, the Bangsamoro issue, federalism and the future of local government amalgamation among others were discussed in the three day conference. The Philippines Vice-President Jejomar Binay and senators Nene Pimentel and Antonio Trillanes, Mayors Rudy Duterte and Benjamin Abalos, former DILG secretary Rafael Alunan III and Ramon Casiple among others keynoted and led the plenary sessions. The two-day plenaries featured some of the most innovative local governance platforms in the country. It also gave public administration schools, think tanks and key industry players (government, ngo’s, people organizations, HEIs, the private sector) the space to assess and critique alternative governance design, worldviews and public policy agenda. 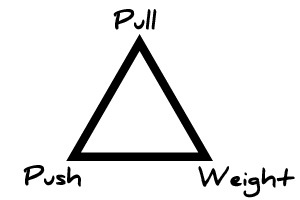 Allow me to use the Futures Triangle (FT) to map the contexts, “pop thoughts” , “wicked ideas and problems” that emerged in the conference. Developed by Sohail Inayatullah, the FT method is a simple tool used by futurists to map the dynamics of the future. FT could aid researchers and decisionmakers explore future horizons, brainstorm social complexity and analyze the depth of drivers and trends shaping the future and their impacts. I used the questions below in mapping some of the contending visions and competing images of Philippine governance futures (past, present and future). I do not want to be comprehensive and detailed here but would only present some of the general assumptions of speakers, presenters and participants and notes I had at the conference. What trends are pushing us towards particular futures? What quantitative drivers and trends are changing the future? 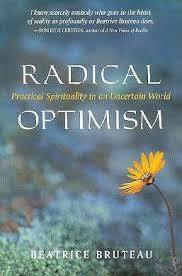 What is pulling us towards particular futures? What are the compelling images of the future….you “can’t not” go there? I would take these keywords as the preferred Philippine governance future : democratic, citizen driven, transparent, accountable, Filipinos are living with dignity and honor, self-reliant and respected all over the world. The disowned governance future would be: authoritarian, corrupt, elite driven, chaotic, feudal, undisciplined, high risk, colonial, passive. The “crackpot realisms” today, again, would find their way into the future. Federalism is the way to go! Taking into account these three dimensions of the future, the most plausible alternative future was a corrupt and conflict free, citizen-driven, merit-based and federal system governed governance structure. Challenging the political and business elite, reinventing the governance professor, addressing poverty, transparency and accountability, social impact investing and engaging the grassroots were noted as imperatives of good governance. 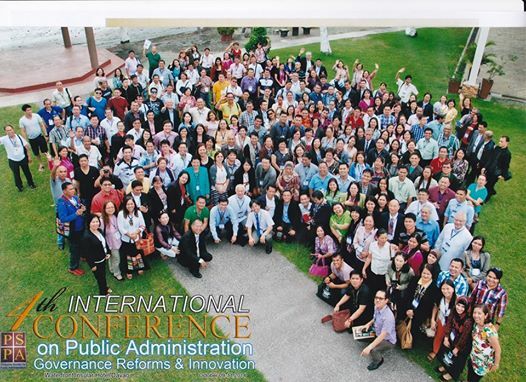 Thailand public administration education and research was institutional, historical and neo-institutional driven. Systems thinking/structural analysis, New Public Administration Management concepts (Hood, Gaebler and New Zealand) dominates Thai governance education and research. The strong IT program of Thaksin Shinawatra led to some drastic restructuring and re-engineering of Thai bureaucracy. Results base management and recruitment innovations in Thai civil service continue to shape Thai governance systems and culture. ASEAN integration, transparency and public trust drives the Thai 2013 to 2018 public sector development agenda. Japan’s model and experiences of local government amalgamation could set new trends on local government futures. New questions emerged, what is the optimal size for LGs in Japan with climate change and disaster risk management in mind? Can local governments really provide public service to local residents with a 100,000 population? How can we cope with LG mergers and amalgamations? From 71,314 local governments in 1888, Japan today has only around 1,821 LGs. The city of Laoag is blessed with brilliant story-tellers, long-term thinkers, and scenario-makers.This I learned when we had a scenario-building workshop last week at the Fort Ilocandia Resort and Hotel. Organized and facilitated by the WWF-Philippines (World Wide Fund for Nature), the world’s largest conservation organization, and BPI Foundation Inc., the corporate social responsibility arm of the Bank of the Philippines Islands, we explored the most plausible and preferred futures for the city of Laoag. Participants of the workshop were key officials and members of the Philippine local chamber and commerce, BPI bank managers, academics, researchers, search and rescue teams, media, environmentalists, and representatives from the city government of Laoag. 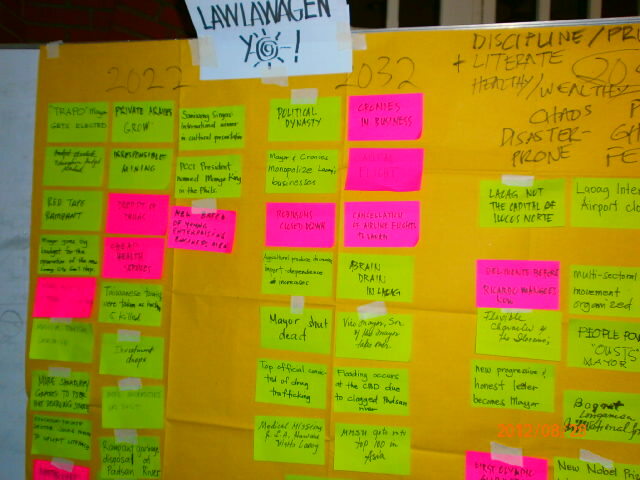 The double driver and the four quadrant approach to scenario-building were used to explore Laoag’s alternative futures. 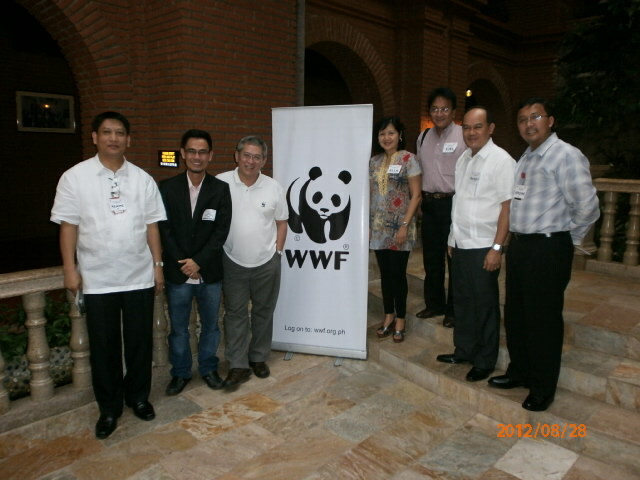 The “event” was facilitated by former NEDA secretary-general and Ateneo economics professor Dr. Cielito Habito, Jose Lorenzo Tan, Chief Executive Officer and Vice-Chairman of the WWF Philippines and Ms. Ella Antonio of Braintrust Inc. The STEEP (social, technology, economics, environment, political) approach was employed to identify key drivers of Laoag’s future. 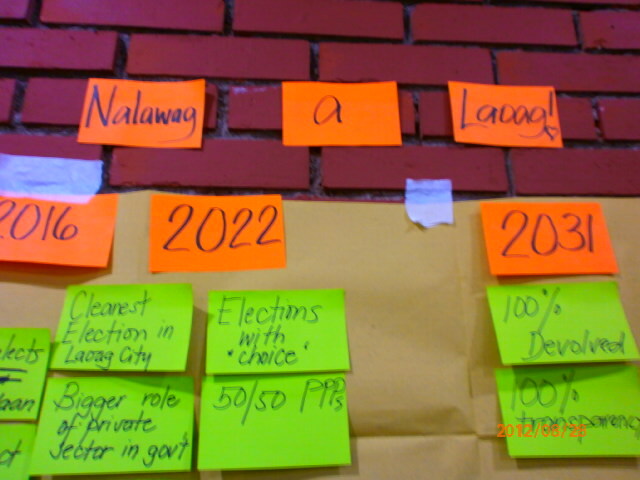 The participants identified the following as main drivers of Laoag’s development trajectory: (1) governance and partnership; (2) education; (3) values, and (4) health. The participants had these questions in mind when they tried exploring plausible futures: Is Laoag City water crisis neutral? Is Laoag City flood crisis neutral? Is Laoag a refuge or a risk area? What are the trends? What are standards of next practice that will allow the city to retain economic viability and respond in a climate-defined future? What are the possible and preferred scenarios for Laoag 2040? What drives the development of Laoag? What factors would decide the long-term development of Laoag city? With governance/partnership and functional literacy informing the scenario-building workshop, the participants came up with four future images of Laoag in the year 2040. These scenarios had storylines in it and it may or may not happen in the future. Scenarios are methods used by foresighteers to anticipate the future and create alternative futures. The four Laoag alternative futures are: (1) Sunset City Laoag (the worst case or the “nobody wants that future” scenario); (2) Ranyag ti Laoag (there is development but it is unsustainable future case scenario); (3) Lawlawagen Yo! 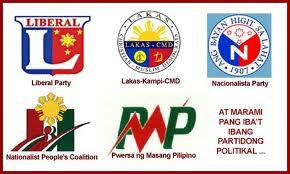 (the negative governance, no light in the tunnel and the emergence of the wise crowd scenario) and (4) Nalawag a Laoag! (The best case scenario or the preferred future; this is the most optimistic future, or the best possible reality/world for the city of Laoag). I would like to discuss them briefly. The “Sunset City Laoag” is a scenario where the “Pac-man” (the video game, not the politician-boxer) sort of leader gets elected as city mayor and consumes public resources for private gain. Corruption and other short-termism type of governance and priorities shapes the trajectory of Laoag in the year 2040. 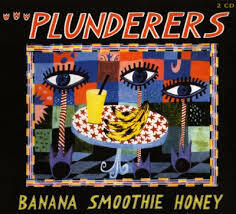 The Pac-man induced headlines like corruption, violence, etc. made Laoag more vulnerable to climate change impact and hazards. The effect was felt at the business and household levels as flooding, chaos were visual and functional illiteracy was at the highest. The gains that Laoag had in governance and literacy in 2012 was lost due to bad governance and due to the absence of partnership between the government and the private sector. The low functional literacy rate aggravated corruption and unemployment resulting to a scenario where the “sun set” in Laoag. 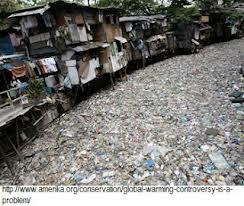 The environment, health, functional illiteracy, unemployment and business risk was at its highest in the year 2040. Laoag joins the the list of high risk cities in the Philippines and Asia. The “Ranyag ti Laoag” scenario is an image of Laoag where good governance and partnership peaked in the year 2040 but Laoag recorded substantial declines in functional literacy. This low functional literacy rate devastated Laoag in the process. While Laoag emerged as a refuge area for business and tourism. The influx of people, remittances, money, investments and other manifestation of the “west is best” type of urbanization devastates the children and youth of Laoag. The OTOP or “one town one product”, for lack of creativity and social innovation, became OTOC or the “one town one casino” image in 2040. Casino mushroomed in the city of Laoag and prostitution, gambling, drugs, trafficking, smuggling and other illegal activities redirects Laoag’s future and devastates the younger generation. Laoag improves but functional literacy stagnates in this scenario. The third was “Lawlawagen Yo!” scenario. Driven by bad governance and high functional literacy rate in Laoag, the government mishandles its resources (capital and non-capital). Thus, vulnerability Laoag to climate impact and hazards increased (dengue, etc). Aggravated by corruption, unemployment, flooding, health, etc. Laoag gets lost in the wilderness of rapid change (environmental and social). The highly educated public emerged and now challenge the status quo. 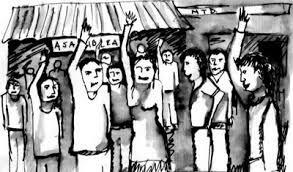 Laoaguenos would demand for outright social transformation. A revolt by the “wise crowd” takes place (wisdom of the crowd) and elects a new mayor embodying the “wisdom of the Laoaguenos”. The new mayor gets elected and Laoag joins the list of socially engaged cities in the world. The installed mayor becomes a future recipient of the Nobel Peace Prize. Laoag shines again! The best case scenario was “Nalawag a Laoag!” This scenario is the most desired or preferred future for the city of Laoag. This is the scenario where good governance and partnership and high functional literacy drives the transformation of the city. The city becomes high-tech and high-breed (nalaing ken ada sursurona) and the tradition of “tag-nawa” inspired types of leadership and “tsinelas” approach to public management creates a tradition of community or hero-oriented leadership and governance in Laoag. The mayor of the future receives the Ramon Magsaysay Award and Nobel Peace Prize in good governance for inspiring the country, Asia and world with new types of city development leadership and governance models. Laoag city moves up in the city economy rankings and international universities emerges inLaoag. The scenario had an influx of international students in Laoag and local investors now invest in China. The Laoaguenos are both healthy and wealthy in this scenario and the number of centenarian rises in Laoag. There is peace and there is 100% full transparency. The partnership of the city government, the civil society and private sector is one of the best in the world. As the mayor was long-term oriented and non-corruptible, the mayor inspires the next 100 years of of transformative leadership and governance. Laoag is alive and shines brightly into the future! 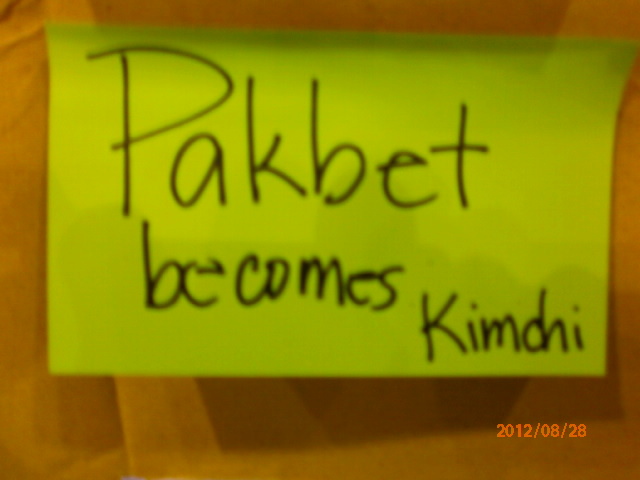 “Pakbet becomes Kimchi” is the metaphor of Laoag’s transformative future!